A little yarn goes a long way! 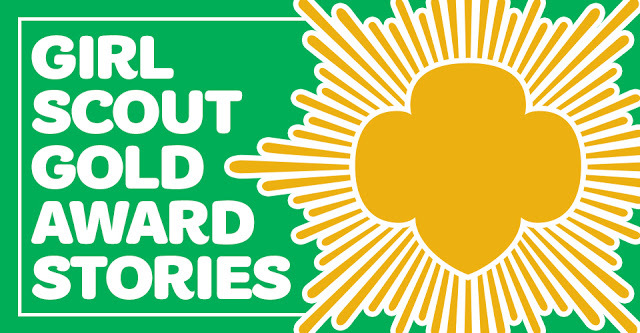 That’s what inspired Girl Scout Sarah to take action in her community—creating Kids Knitting It Forward for her Girl Scout Gold Award. To complete her project, Sarah recruited local volunteers to teach people in her community how to knit. Once the “students” had mastered the basics, Sarah oversaw a group of more than 50 members who committed over 4,200 hours of service and donated 500-plus knitted items to local charities. Learn more about Sarah’s Kids Knitting It Forward. 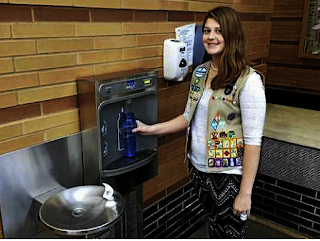 Learn more about Rebecca’s water filtration system. 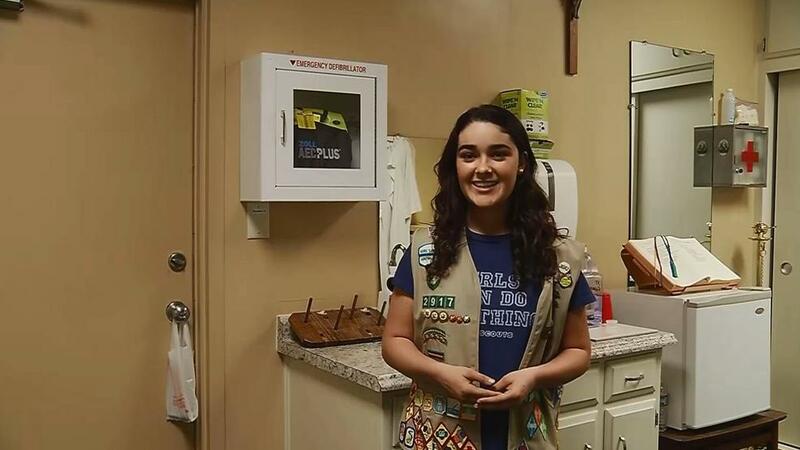 After losing a classmate to unexpected cardiac arrest, Gold Award Girl Scout Jenna was inspired to install Automated External Defibrillators (A.E.D.) machines for the public. “When [my classmate] died, there was no equipment, there was no knowledge, there was no resource addressing how [people can be helped],” she said. Making her dream project a reality was not quite as easy as she’d anticipated—she was denied three locations, but Jenna never stopped trying and was finally granted permission to install her machine at a local church. Learn more about Jenna’s Operation A.E.D. homeless areas youth are not able to do so. 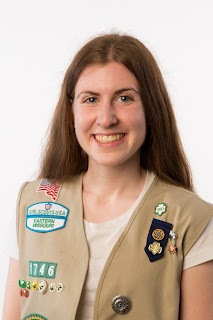 Leah’s Girl Scout Gold Award project addressed this need. 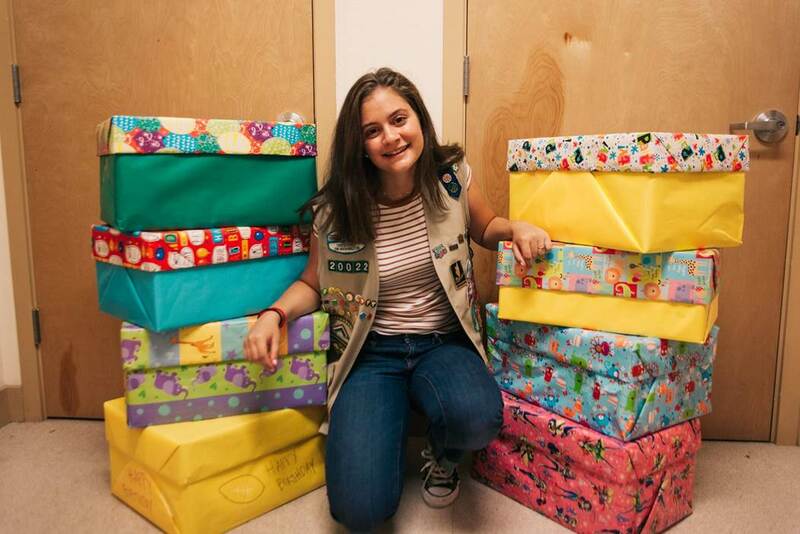 By providing birthday kits that included all of the items needed to host a birthday party, the Party Project hopes to make birthdays a fun and memorable event for the youth who receive a birthday box. The goal of the Party Project is that all children have an opportunity to celebrate their birthday no matter what their family’s financial circumstances are. A local church has continued to keep the Party Project going to ensure many birthday’s are able to be celebrated for years to come. Learn more about Leah’s Party Project.